It’s been a doozy of a month taking care of newborn Joshi. Last night I took a short night ride out to get a little fresh air, and also reflect on what it has meant to be Singaporean. My ride took me past the Dakota Crescent flats, through Tanjong Rhu, down the Gardens by the Bay East, across the Marina Barrage bridge, past the domes at the Gardens by the Bay South and on to the Marina Bay Sands boardwalk. 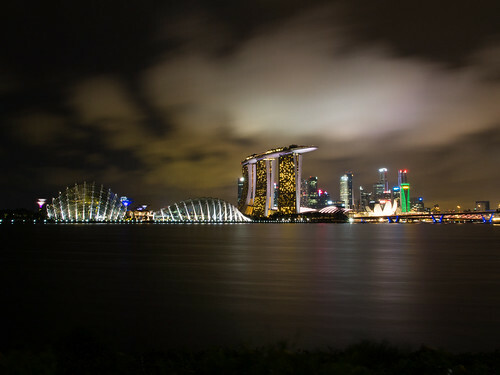 As I walked my bike among the crowds at the upscale Marina Bay Sands, it felt like Las Vegas. Everyone looked like a tourist, all coming from different corners of the world. It was close to 11pm and the night seemed young as the impeccably dressed sat at fancy cafes crowd-watching, and throngs strolled down the boardwalk, lit by the light of a million signboards brandishing world-famous brand names. 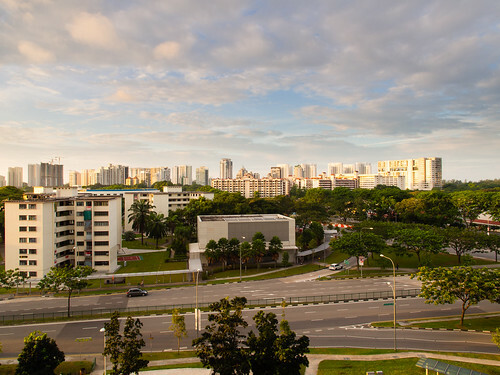 I felt, just as photographer Darren Soh articulated, that this Singapore was alien to me. I’ve spent so many hours walking down Esplanade bridge taking photos of the sunrise, but these days the giant towers of Marina Bay Sands insist on being part of the shot. But I also know that the Esplanade bridge blocked somebody elses’ memories of what Singapore is to them. New memories are being placed on top of old memories. There’s a nascent yearning for everything to stop in this period of extremely rapid change. I grew up in Rochor Centre, and in a short time it will be no more. I can photograph the heck out of it right now, but it won’t be the same. Even the multicoloured facade it now sports doesn’t sit well with me. It was an unassuming beige in my childhood days. I guess we all concede that things change, but we concede it rather reluctantly because that’s all we have. When I woke this morning, the view outside the window was familiar. I’ve been living here a decade, and I know that things here too will change. We need to make more memories. We are too often stuck behind computer screens, hard at work for the life we never get to live. We need to spend more time with loved ones, have fellowship with the neighbours that live around us, entwine our lives with each other because the one thing that won’t change is this: on this island with no natural resources, and relies on itself being nimble to global change, we are all we have. You. Me. Here. Now. The smiles of the people you love, amidst the bright glitzy lights of the city; or the kids in their pyjamas running around the void deck downstairs. Prata and milo dinosaur at night. Slightly more atas food with friends from time to time. The changing cityscape becomes bokeh, and the memories of time spent with people reside in the foreground of a life well-spent.